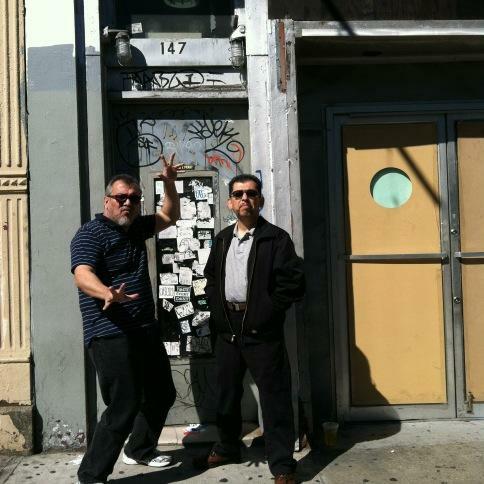 Artists Gilbert Hernandez and Jaime Hernandez made a pilgrimage last week to 147 Essex Street in New York City, which Jaime documents as Jack Kirby's birthplace. How about that! Here is a map of the area, and down below is a view of the building from top to bottom. Dark Horse Comics hit the publishing scene in 1986 and one of their inaugural titles was Dark Horse Presents, a 32-page black and white anthology title which featured the first appearance of Paul Chadwick's Concrete as well as many other great comics stories. I liked DHP from the beginning and I amassed all 162 issues of the title over its fifteen-year run. Dark Horse revived DHP last year, but now it is an 80-page full-color series (and a recent oversized issue topped out at 104 pages!). Even my old friend Concrete has made an appearance. Page for page, the new Dark Horse Presents is the best deal in comics today and if you haven't yet tried an issue I recommend it to you highly. 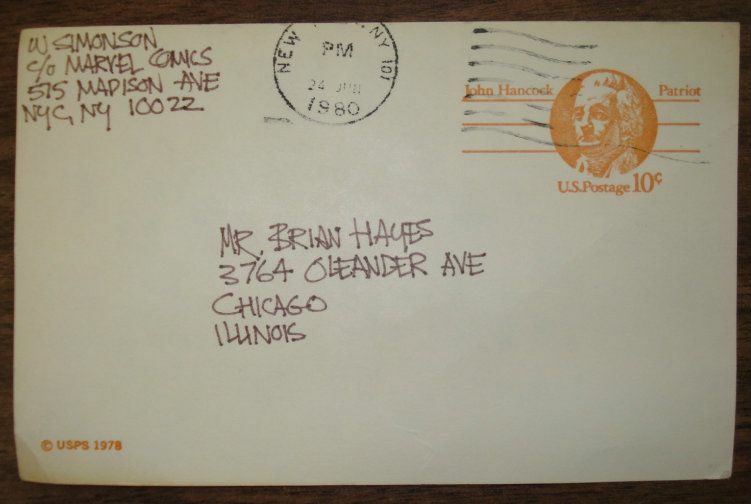 Back in 1980 Walt Simonson sent me this postcard in response to a letter I had sent to him in care of one of the comics publishers. I must have asked if he would sell me the original of a page he had drawn, but I don't remember exactly which one. And what's this about Al Milgrom publishing an underground comic? I do not have a recollection of what that was going to be, nor whether it ever made it into print. I can't remember everything! In the spirit of justice I have spoken up on behalf of Vince Colletta in the past, but Mr. Colletta was not my favorite inker for Jack Kirby. Mike Royer was. So you can imagine how pleased I am to learn that a collector of original comic artwork is in the process of commissioning Mr. Royer to ink some 1971 Fourth World Jack Kirby pencilled artwork that Mr. Colletta previously inked for publication in the comics. (Mr. Royer is also redoing the original John Costanza lettering.) Young Scott Free was the five page backup story that appeared in 1971's Mr. Miracle #5; Page 1 of the new commission is shown above and you can compare it with the published version down below. I am anxious to see the other four pages of the commission! You can read more about this project and see the original Kirby pencils over here. 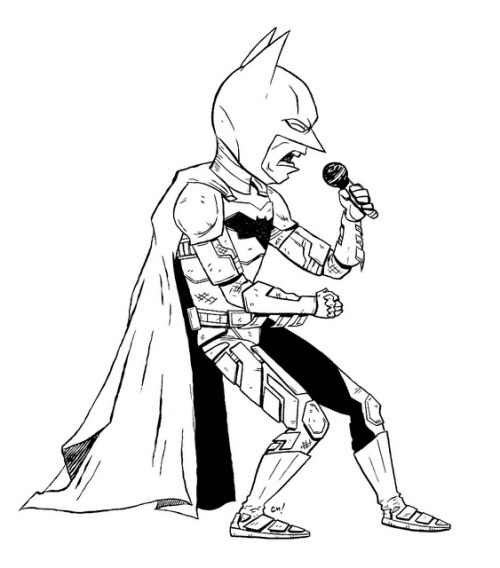 I am crazy about comic book cover animated gifs! Artist Kerry Callen is at it again with the great Batman specimen above. I first told you about Mr. Callen's handiwork last year back here and then Jeanette in the hayfamzone created the spectacular Big All American triumph that I am only too happy to share with you again down below (and over here you can read about adding a 'synchronized' soundtrack to the Big gif). That's right, I'm back at the bowling alley. 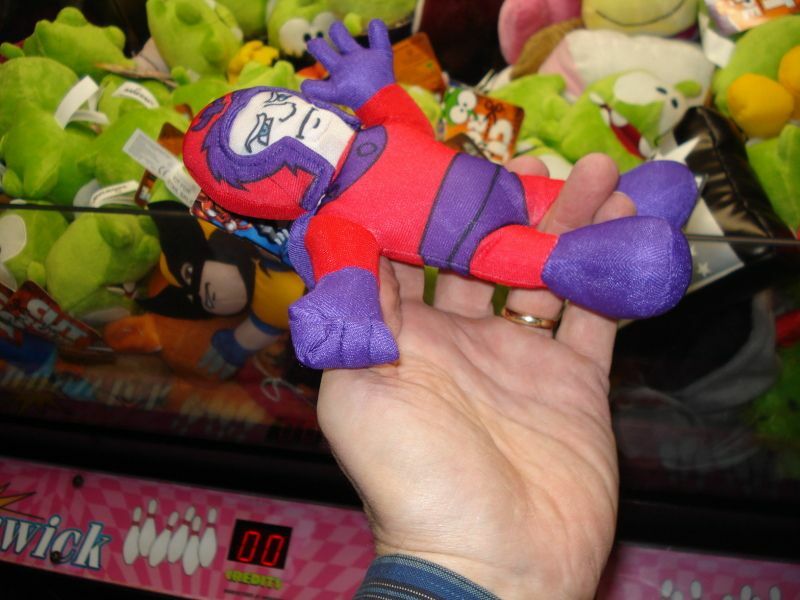 I told you back here how I won a Doctor Doom stuffed doll while playing the Arcade Room's Claw Machine, and now I have successfully grabbed a Magneto (but Magneto alone, contrary to what I told you my winning strategy was in the earlier article). There are heroes in the field also, like Captain America and Iron Man, but the villains usually seem more accessible so that's what I go for. Don't worry, I'll win a hero one of these times. 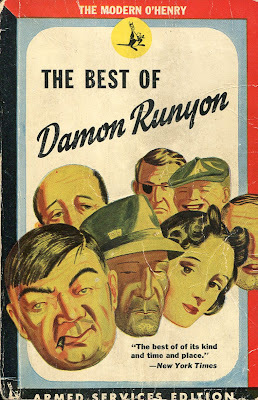 How pleased I was to read in an interview with Jack Kirby's son Neal that Mr. Kirby himself was quite fond of the craftsmanship of Mr. Runyon. 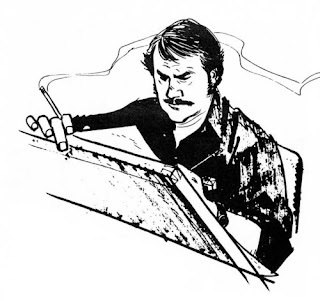 Alex Toth is one of the most talented comic book artists who ever lived. You can enjoy a Western story that Mr. Toth pencilled and inked and lettered for Dell Comics right over here. For today I am taking off my comic book fan's cape and instead donning my teacher's smock. Word may have reached you that there was recently a Teachers Strike in Chicago. I probably could not convey to you just how much the very concept of teachers striking makes my blood boil, but I will tell you that I wrote a Letter to the Editor of The Chicago Sun-Times on this matter and they printed it in today's edition of the newspaper. The school strike is over and now everything is hunky-dory? No it is not. Bitter memories linger in my mind. There is the memory of a greenhorn mayor whose rank amateurishness at resolving conflict shone brighter than the sun. Maybe Rahm Emanuel should have dialed former Mayor Daley for some advice on how to avoid a strike. There is also the memory that the teachers union president arrived 90 minutes late for a negotiations meeting on the first day of the strike. I wonder if Karen Lewis would say that she is proud or ashamed that she held hundreds of thousands of innocent children hostage so she and her brothers could get their way. I'm hoping the sour flavor will dissipate sometime soon but I keep thinking about how all the adults in this scenario acted like children while all the students involved were locked out of their classrooms. 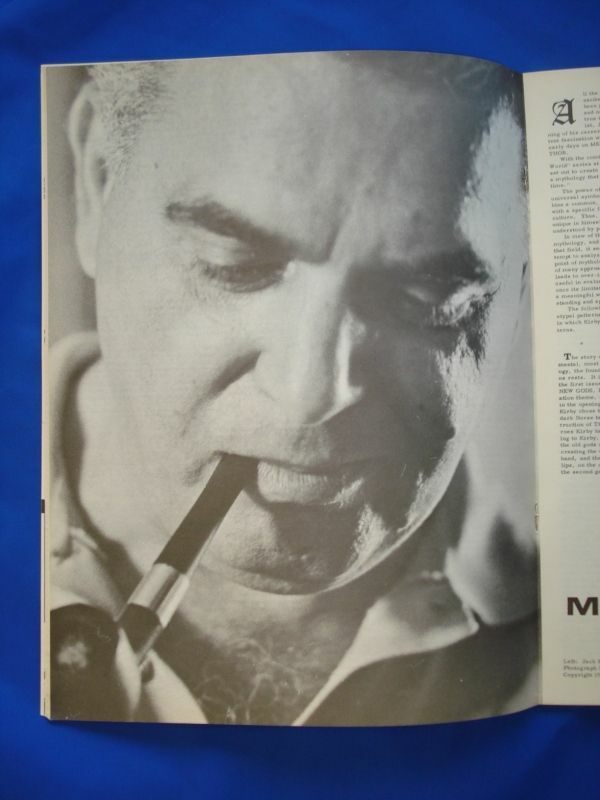 The above is possibly my favorite photo of Jack Kirby ever. The article by Robert Cosgrove that accompanies the photo is entitled Jack Kirby, Modern Mythologist and I'll see about transcribing that on a future day. 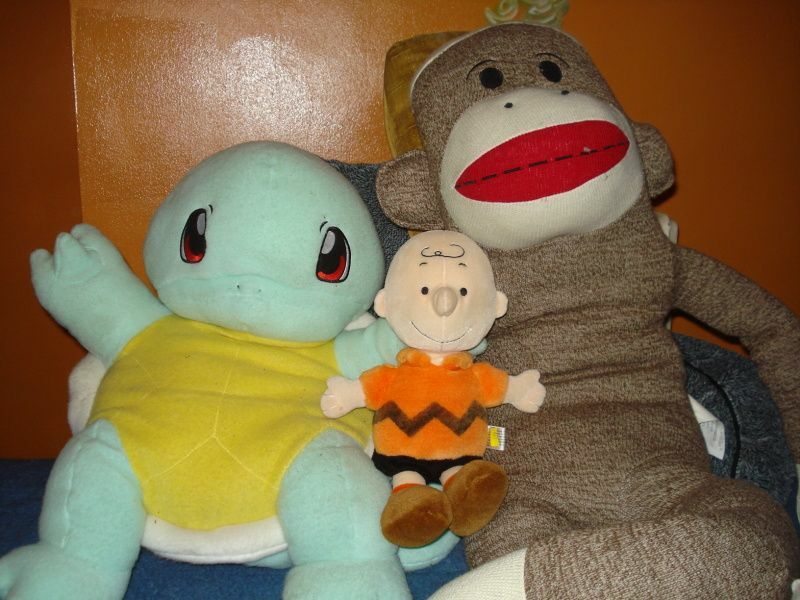 I was browsing through the aisles of the Secondhand Store when I spotted the above doll in a pile of stuffed animals. He asked if he could come live with me and, for 70 cents, how could I say no? 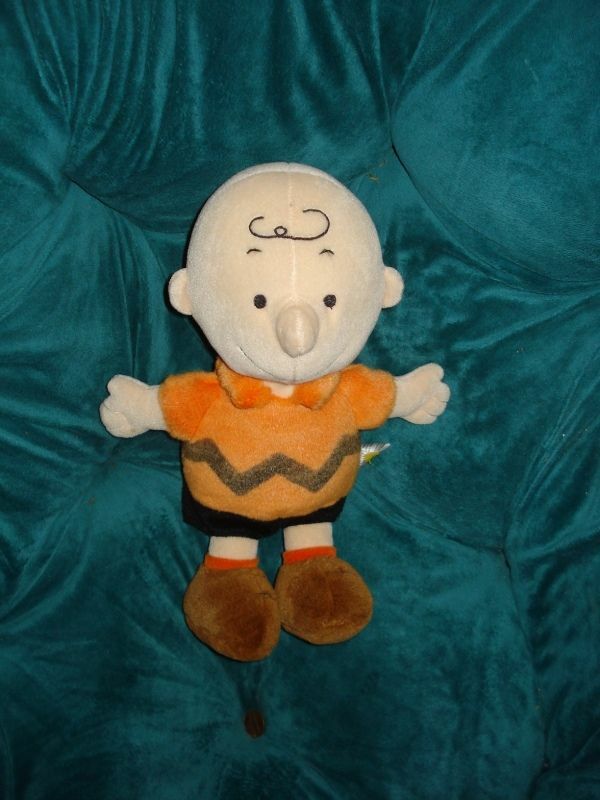 Welcome to the hayfamzone, Charlie Brown! P.S. Last week, Patrick McDonnell in his Mutts newspaper strip paid tribute to Charles Schulz for six days. Below is my favorite entry of the six-strip series. Joe Sinnott is a legendary comics artist and some fans even consider him to be the best Jack Kirby inker of all time. On his Facebook page, Mr. Sinnott posts one video each week in which he answers a question that has been submitted to him. You can watch for yourself right over here. For some reason, the above page that Jack Kirby drew for The Demon #1 in 1972 was not used in the comic book. Thirty years later in 2002, Mike Royer inked the page with the results shown below. And in 2012, ten years after the inking, I have the privilege of showing the artwork to you in the hayfamzone! You can see larger versions over here at the great What If Kirby website. An article in The Nerdist News points out that this month marks the twentieth anniversary of Batman: The Animated Series. They go on to list what they feel are the five best episodes of the cartoon. I remember clearly that the kids and I piled onto the couch in the basement on the day of the debut and we watched it together. Both they and I were captivated from the beginning of the opening credits through the end of the half hour. And the show maintained its excellence for all the years it was on. I can say with no fear of contradiction that Batman: The Animated Series is my all-time favorite television cartoon based on a comic book character. Here is the opening of the show so you can bask in its glory one more time. I reported to you about the Kevin Smith cable television show named Comic Book Men back in the springtime. I enumerated reasons why it was horrible and I predicted there would never be another episode after that first group of six.. Guess what? I learned in the New York Times this week that the second season of Comic Book Men begins next month. How about that. 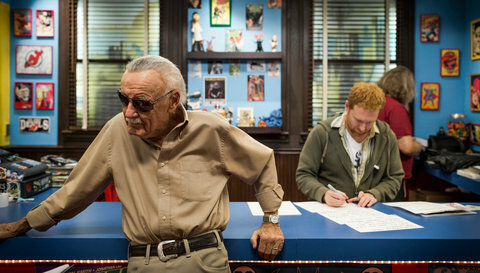 The article announced that Stan Lee will appearing on an episode of the show. When I first saw Mr. Lee at the first Chicago Comicon in 1977, the experience was wonderful and electric. These days I see The Man more often than I see some of my own relatives, so him appearing on CBM is a notch below bombastic for me. Yes, I'll watch the new season and relate anything worthwhile. But I'm not looking forward to it. Of course Amazing Fantasy #15 introduced Spider-Man to the world in 1962. To celebrate the fiftieth anniversary of that momentous comic book, I figured it was about time to redraw its cover with the Steve Ditko character of Speedball in place of the Spider-Man figure. You see my logic, don't you? All in good fun, that's one of the mottos of the hayfamzone! There's my drawing up above, and down here is how Jack Kirby's printed cover of that comic looked. Happy anniversary Spider-Man (and Speedball)! The Hypernaturals #1 came out a little while back. I have obtained a copy of the Third Printing of the comic. 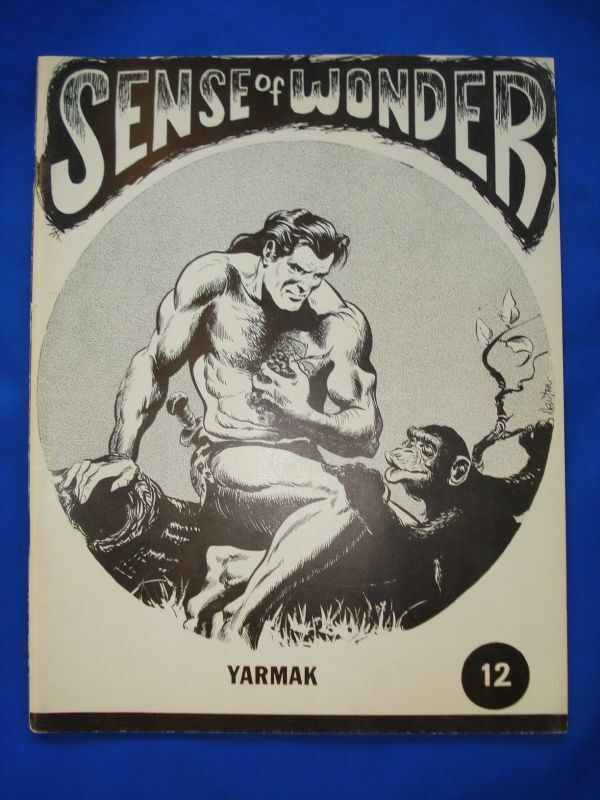 It must have been somewhat successful if the comic went to a third printing! I would call this a pretty good comic, with reservations. The artwork is pleasant but some of the pages are overwritten, with more words than artwork on the page. The package as a whole is okay but nothing noteworthy enough to entice me to continue with future issues. 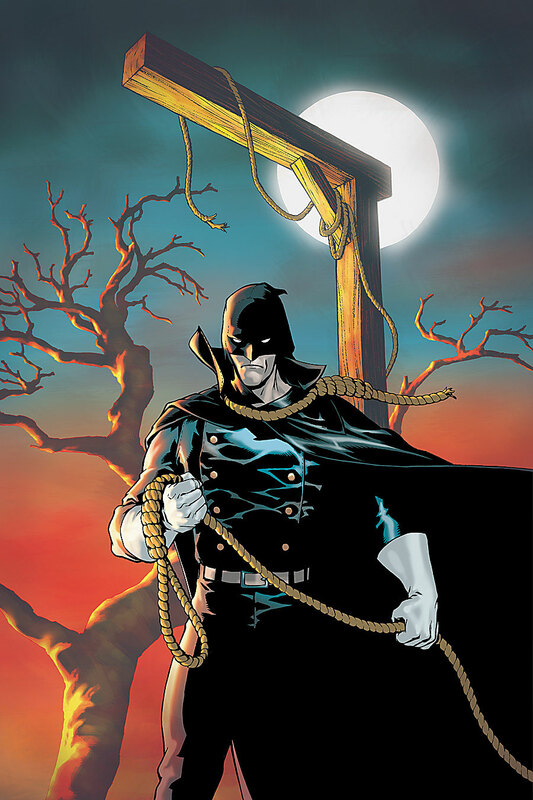 The interesting part of the comic is the story of the cover. 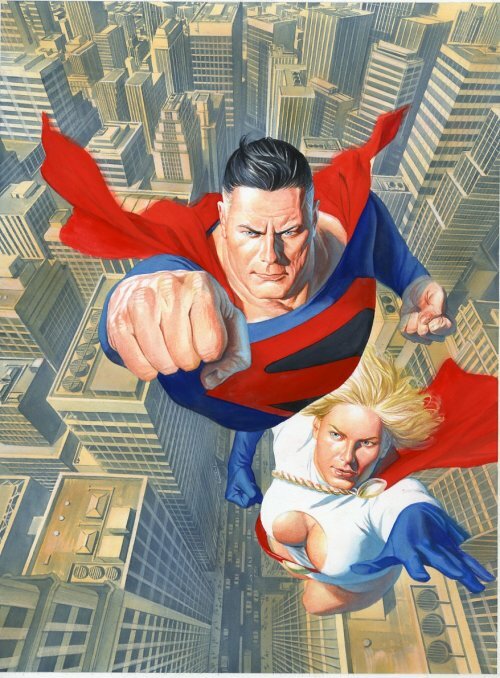 Bleeding Cool over here explains that the above-pictured Bill Sienkiewicz variant cover was offered only to dealers who ordered a significantly large number of copies of the standard edition. But not many dealers qualified for the deal so more copies of the Bill S. variant had been printed than were allowed to exist! To be true to the conditions they had promised, BOOM Studios wound up burning many copies of the variant and only fifty remain. 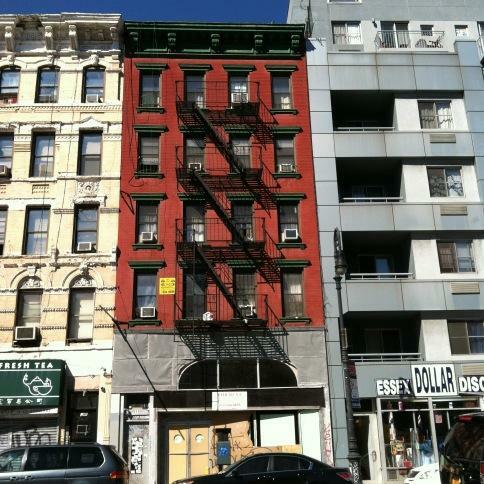 Here's where confusion erupts in this story. At the above link, Bleeding Cool embeds a YouTube video of the burning of the extra copies. But. What those gents are burning is not Hypernaturals #1; it is Valen the Outcast #1 (of which I have not seen a copy). Hmmm. I do believe there is (as I'm calling it) a manufactured rarity, but is it of Hypernaturals #1 or of Valen the Outcast #1? Or both? The website hoodedutilitarian.com is devoted to comic books and proprietor Noah Berlatsky has published some excellent articles over there. Just a few days ago I referred you to his fine cataloging of the songs and singers that appeared on the Batman television show. But some things that Noah does I am not as fond of. 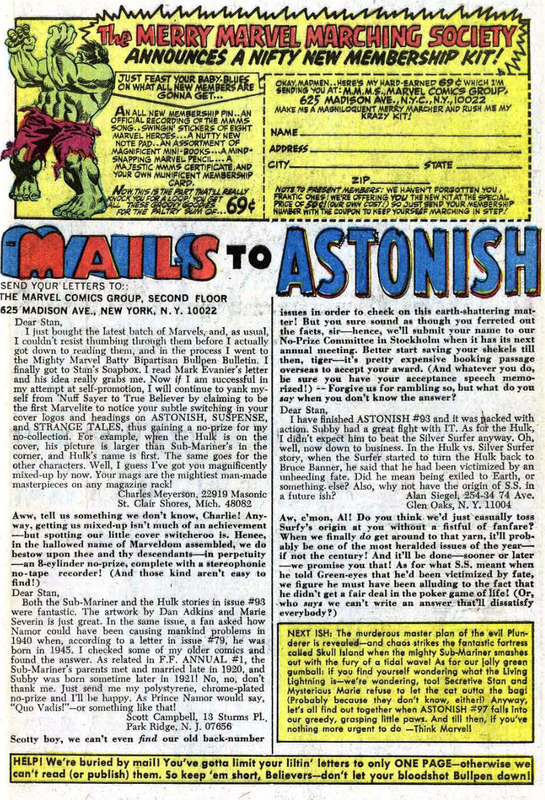 To celebrate the fifth anniversary of his page he is encouraging readers to write in to tell what they feel is the worst comic book of all time. This exercise has been dubbed The Anniversary of Hate. Ouch. Where do I begin? Gleefully celebrating awfulness seems wrong-headed to me. Noah explains that this idea came to him as an urge and he felt compelled to follow through with it. Temptations can be resisted, though, and I personally would find frightening a society in which every individual acted out their every urge. I'm not playing the role of Pollyanna and saying that only positive things should be written, but isn't it better for negatives to be presented in a constructive spirit rather than with a celebratory cynicalness? There is a new comic book title on its second or third issue right now and it's being hailed by many comics creators on twitter as one of the best comic books currently being published. But it's not good at all. It's terrible. The dialogue is overwritten and the artwork is muddy. I was going to write an article revealing that the emperor has no clothes, but decided against it. I know that the artist involved is talented (because I was very impressed with his previous project) and I'm confident he will shine again in his future work without me besmirching him in an internet article that will remain online forever. I was going to trash the comic book mainly to lash out at those who are lauding it, and I resisted the temptation. There are so many good things to write about instead! The Hayfamzone Blog quietly had its SIXTH anniversary last month and our focus continues mainly to be on the positive things to be found in comics. 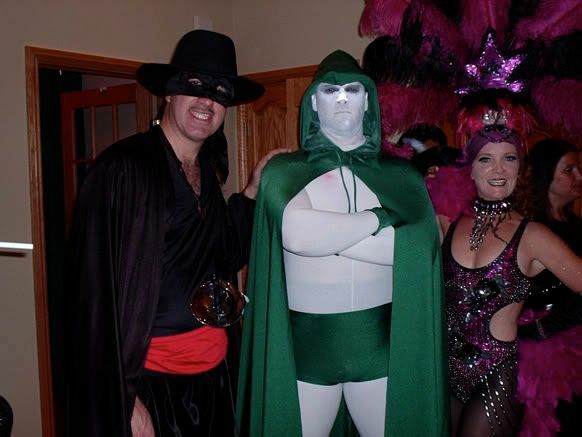 I like hoodedutilitarian.com and I encourage Noah to veer away from the Dark Side. 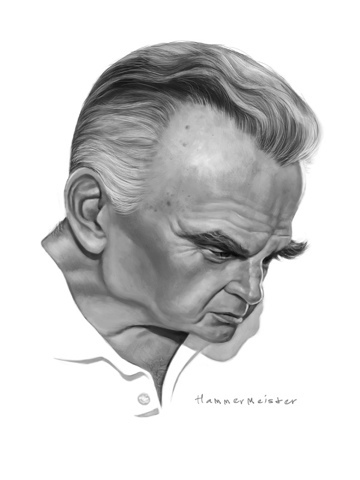 There is a movement afoot to get August 28 proclaimed as Jack Kirby Day. I will not be opposing that! More details appear over here, as well as a new two-minute video tribute to Mr. Kirby. Noah Berlatsky, The Hooded Utilitarian, has compiled a wonderful list of the musicians who appeared on the 1960s Batman television show. He has embedded a YouTube video of the artists as they appeared on the broadcast when one was available, and I must say that the article is beautifully presented. You can see it for yourself over here. Fan Benjamin Rivera wrote and drew this one-page Batgirl story and sent it to Batgirl writer Gail Simone, who tweeted it out to her followers. Very fun! You can see a larger version over here. 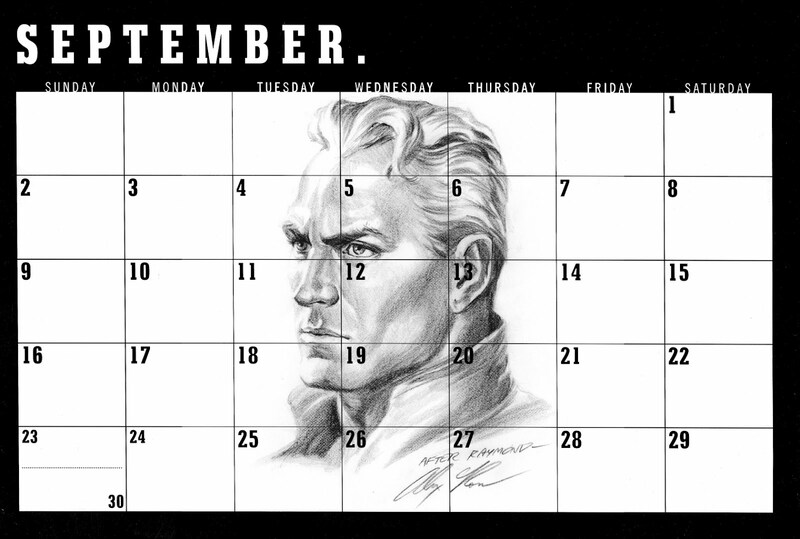 I never came across any of these before but it seems that, every month, Alex Ross draws a calendar for his fans and they and you and I are invited to print it out. That's very nice of him! The September 2012 calendar pictured above features Mr. Ross's take on Alex Raymond's Flash Gordon and here is the address you can print it from. Believe me, Superhero Movie pictured above is not on any list of Top Films. Wtiter Christopher Borrelli seems to be the go-to guy whenever The Chicago Tribune needs an article relating to comic books. Earlier this week the newspaper published his list of the 50 Best Superhero Films since 2002 (and he chooses that year as his baseline because he feels the 2002 release of the first Spider-Man movie corresponds to the opening of the floodgates of films based on superheroes). Mr. Borrelli's ranking is well-reasoned but his Number Two choice of 2008's The Dark Knight would have been my Number One choice. The online version of the list is formatted as a slideshow countdown and you can inspect it over here. 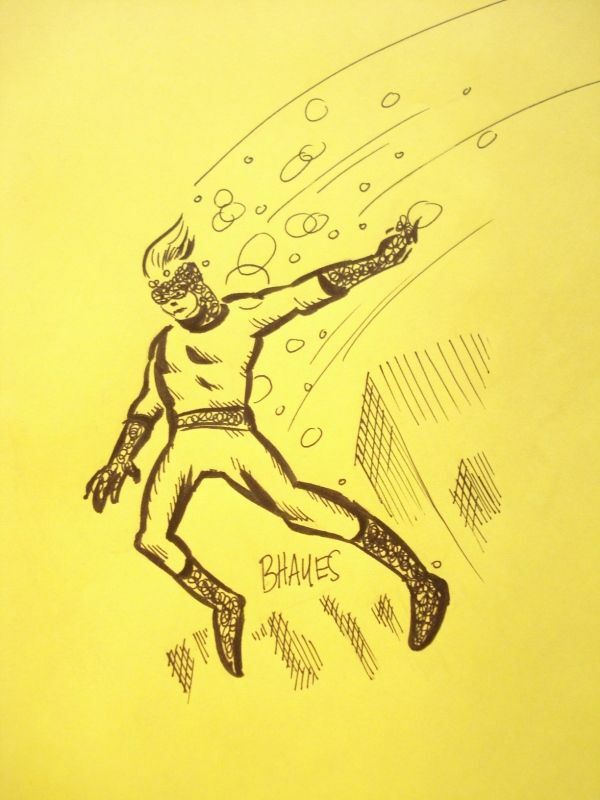 And, because we always try to give you a bonus when you visit the hayfamzone, here is a link to another Christopher Borrelli story that touches on comics. Entitled The Angst of the Square-Jawed Man, the print version of the article featured a huge drawing of Superman in profile and everybody's favorite Kryptonian is certainly also mentioned in the body of the writeup. 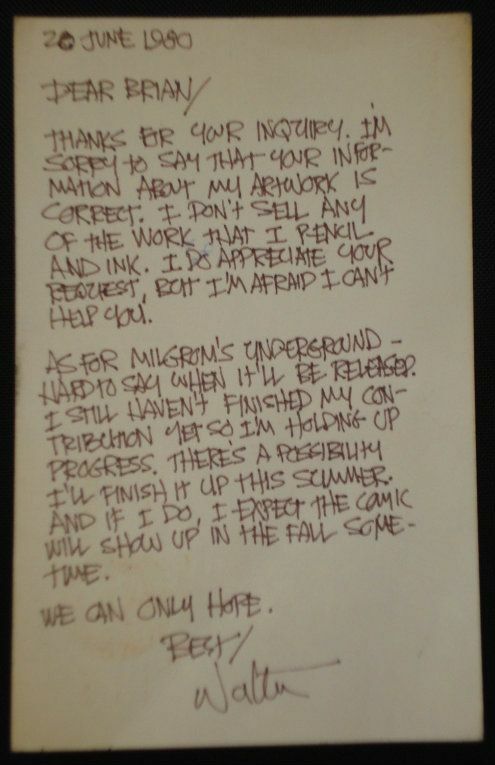 I have shown you the little note that William M. Gaines wrote to me in 1979, but artist Drew Friedman has a juicier tale to share. In 1974, he visited the offices of Mad Magazine. Over here you can read his extensive report which is populated with a number of photographs I hadn't seen before. Back then they awarded visitors who survived with a copy of the above jam self-caricature of the Mad staff. Click here and you can see a full-screen version of this excellent artifact.